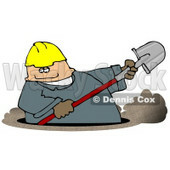 What is the saying, “when you’re in a hole, stop digging”? It’s a waste of energy and in this latest example, it’s a waste of taxpayers’ dollars. Last August the majority over read the CPSIA when they considered the general wearing apparel rule to be a children’s product safety rule requiring third party testing. I voted against that approach because the general wearing apparel standard provides the same level of protection to everyone and does not differentiate children’s wearing apparel from that of adults. Nonetheless, the majority ‘dug a big hole’ and voted to require third party testing to the general wearing apparel flammability regulations for fabrics that could find their way to be used in children’s garments. Then there was more digging in the hole. At that time, we also issued laboratory accreditation requirements with the third party testing requirement starting 90 days thereafter. Apparently, our action resulted in the need to do redundant testing on fabrics that were already tested prior to when our requirements went into effect. More dirt flying out of the hole. The industry asked for, and today we granted, a one year grandfathering of testing so that fabrics that were tested in an approved lab up to one year before the requirements went into effect will be deemed to have been tested in accordance with our requirements. This is a good thing though we never should have gotten this deep in the hole in the first place. We need to be better stewards of public resources. The reality is that our resources are limited and probably will be reduced in the future. Yet we have spent valuable agency staff time and effort crafting a solution needed for a problem of our own making—a clear example of how not to regulate. We need to keep this lesson in mind before we dig the next hole. I am pleased that today the House Subcommittee on Commerce, Manufacturing and Trade is holding a hearing to discuss the draft legislation to solve problems with the CPSIA that have been so evident. The draft bill will go a long way to addressing many of the unintended consequences of the CPSIA. It’s time to get our agency back on track and focusing on real safety issues, not imagined ones. The lead exclusions need to be amended to give agency more flexibility to address unintended consequences. The amendment needs to recognize the expertise of the agency to define what is an unacceptable risk based on whether the child’s interaction with the product results in measurable increase in blood lead levels. Migration of lead limit from 300 ppm to 100 ppm (effective in 2011) should be repealed. The agency can set an appropriate lower level if dictated by safety. The scope of the lead provisions is too broad. The law treats all children – from infants to preteens – the same even though product interaction is quite different and risks are different. The scope should be narrowed to apply to products intended for younger children (recognizing that the agency has inherent authority to deal with risks, regardless of source, to older children). The lead and phthalates provisions need to be amended so that the law applies prospectively, rather than retroactively. Mandatory third party testing requirements for all children’s products impose a significant burden especially on small businesses. Testing and labeling provisions need to be amended to minimize the damaging impact on product makers while protecting consumers. Rather than requiring third party testing in every instance, the agency should be able to set reasonable and appropriate testing and labeling requirements to assure compliance with underlying safety standards. Regulations should be subject to cost/benefit analysis. The Public Database provisions should be amended to include only complaints from consumers who bought or used the product or relevant public health or other public agencies; enhance the ability of businesses to respond to complaints; and include the duty of the agency to assure accuracy of any information made public. The discussion draft would go a long way to solving the obvious problems with the CPSIA. I hope that Congress will move swiftly to pass constructive legislation.